Best and worst on-time performance at the largest airports in the U.S.
Newark’s last-place finish and LaGuardia’s proximity to it speaks to the NY Port Authority’s continuing problems, but Midway’s jump from the bottom of the list to the top six speaks well of its attempts to improve during 2012. 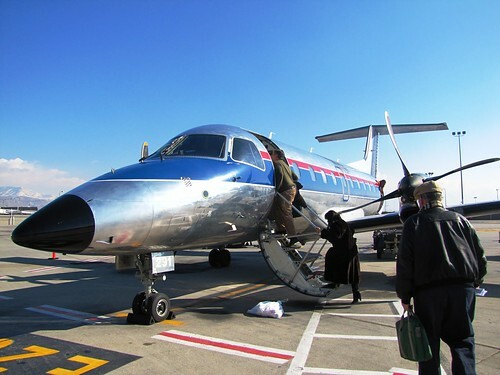 A commuter jet on the tarmac at Salt Lake City airport. Photo by Daniel Betts.